The platform informs you what your machines sells, and where, you can also change prices on (self-service) machines centrally. 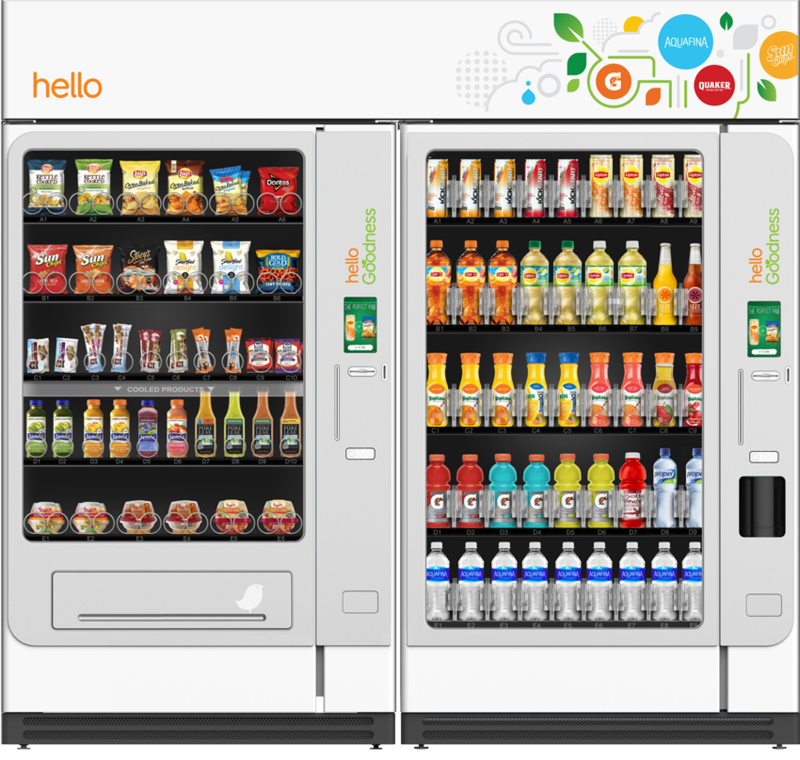 Challenge the vending industry to move from cost savings to revenue increase. We have taken a different road into the future. A road that does not rely on molecular, heavy, hardware. coffee machines, weighing scales, parking booms, toilet turnstiles, soft ice machines, orange juice squeezers, air pumps, car wash. The majority of physical machines lack the ability to web-communicate. Connected Molecules have developed a physical gateway with web services to retrofit web-connect existing machines. RIOT, Retail IoT is the platform of web-connected physical products that participate in commercial transactions. Adding the gateway creates a whole new world of opportunities. Our goal is to liberate bits from their existing solitary environments and connect them with internet. Our dashboard analyze what payment method customers use and if the machine is maintained well and if it runs reliably. Bits are lightning-fast, omni-present, and know of no wear or tear. These molecules become smart again. We’ll web-connect them. At the crossroads of machines, customers and transactions. Real time connected. In the table you will see that the gateway physically connects machine. And since the gateway is web-connected, we can add web services to existing machines and systems. The use of smartphone apps is gaining importance. Apps are used for loyalty & voucher systems, for access management, for payment etc. – operating systems (iOS, Android, Windows Mobile etc. This allows for a great variety of applications in the use of QR-codes on smart phones, hence the choice for adding smart barcode scanners to the set of possible machine peripherals. Through our platform we can therefore connect apps (and thus consumer profile data) to machine transactions. Or merge POS-transactions and machine transactions. Full automatic coffee machines are no vending machines. Today many forecourts deploy full automatic coffee machines. Many time, consumers can first pay at the POS and then get their coffee at the machine. Unfortunately this leads to a lot of ‘leaked’ coffee (consumers get coffee without payment). In busy locations (forecourts, train stations) this can add up to 35% of total production unpaid, creating great losses. Connected Molecules offers a POS-ticket or voucher scan service at the coffee machines to avoid this loss. Simply scan at the coffee machine, we check validity of the document, and allow the coffee machine to start production. Many OEM’s, more models and even more software versions. We make sure that both the coffee machine and her payment peripherals keep working and offer you one readable format. Too often retailers already have an existing relationship with their bank, payment processor, or terminal provider. We value these existing relationships by offering our customers to simply extend their existing relationships with these partners. We will not force you to swith terminal supplier, bank nor processor. We integrate existing parties. Historically vending machines know how to communicate with coin changers. But nowadays retailers want to also offer card en code-based payment systems. And use loyalty systems. And connect this data to their back end systems. We even completely overhaul an antique vending machine with a 60″ touchscreen, running a web application to have consumer select their products, show advertising and sell digital products. That’s how we add value to our customer’s business! 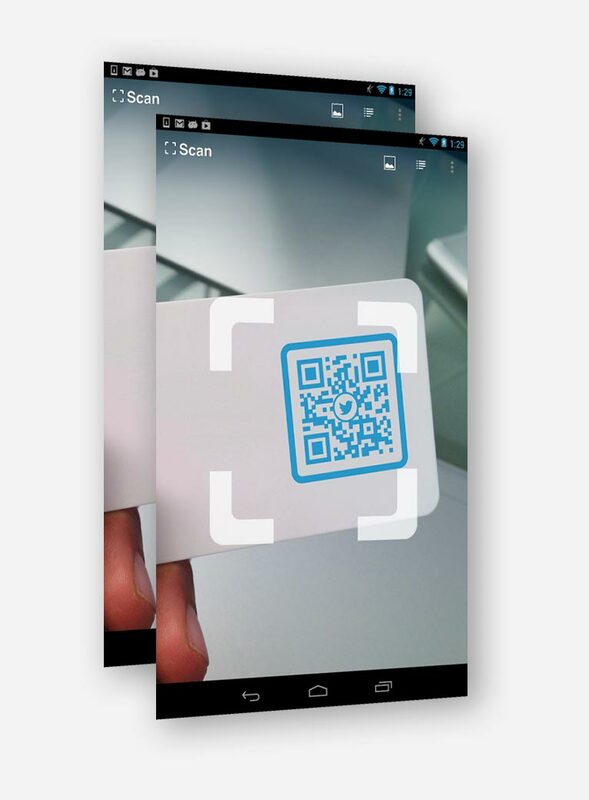 Barcodes and QR-codes will be an important means of identification as these code can exist independent of hardware, software, provider, location etc. And when used on smartphones or other screens, can be used ultimately flexible and thus secure. Generate a QR-voucher in Australia and use it 1 second later in London. 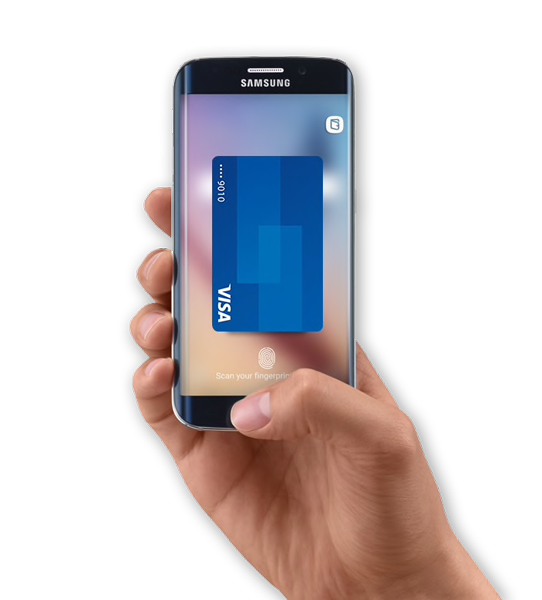 Try that with a card-based system… Flexibility and security, that’s typically what our customers want. Parking booms are mostly always part of an existing pakr management solution. Similar to coffee and vending machines, air pumps and car wash installations, we add our technology to the existing electronics and add web-functions to it. License Plate Recognition connected to a payment- and loyalty system and combined with concert ticketing system immediately become real options. Not many machines make use of a printer to print receipts or vouchers. We can add or embed printers to machines already in operation, that need printed receipts such as central payment poles at forecourts, coffee machines with pay-at-POS scenarios, weighing scales, empty bottle return machines, toilet turnstiles etc. The first product we web-connected back in 2012. A Webbased POS-system that needs to open a physical cash drawer started all the other developments. But still today we love the amzed look on poeple’s faces when they open a cash drawer from their own cell phone screen. Air pumps are typically found at forecourts. The machines are operated both in paid and free mode. Regardless if the pumps are operated in paid or for-free mode, retailers, operators and consumers gain extra functions once these machines are web-connected. We make the air pump communicate with your leasing or insurance company. Scales are again a great examples of mostly solitary, but digital devices. If they communicate mostly it is a serial communication protocol to a nearby Windows-based POS-system. But since POS systems are moving to the cloud, so should the scales for retailers. Web-connected scales also make life easier to work with iOS and Android-based POS-systems running on tablets. Turnstiles are deployed for physcial access control like toilets, swimming pools, museums, sports stadiums etc. Existing systems are in 99% closed loop systems that only communicate on a dedicated location. Once we web-connect the existing infrastructure and add barcode scanners, our customers seamlessly use Facebook-published vouchers, online concert tickets and QR-based payment systems. An example of classic IoT, is to use the motion trigger to start another process such as switch on lights, start camera recording, open a door or simply do a passenger count. Web-connected sensors belong to the IoT ecosystem. Very popular at car wash locations and forecourts, vacuum cleaners are similar to air pumps. Once web-connected it can communicate with car license plates, voucher systems and payment apps. Machines need maintenance and mostly this based on the intensity of use, so when we send usage statistics, this helps the service parties to better plan their service routing. CCTV is the abbreviation of Closed-circuit television and that is old fashioned. Webcams that have their video streams interpreted either on-site or in a central web service, can become an important partner for POS-systems, parking garages, payment systems, instore dwelling time measurements and yes also for security companies. Our POS-software is obviously web-connected and can thus communicate real time with other systems and peripherals. Simply changing the user interface, turns the touchscreen into a self service kiosk. In our view there is no difference between POS, Kiosk of Webshop. We connect a supermarket’s existing loyalty app to our platform so consumers can scan their products, pay on phone and skip the line at the POS. Enterprise Transaction and Information Construct, that’s what we offer. Popular in many countries but in 99% consumers need to pay cash for their washing services. Retailers that want to get rid of cash ánd that want to offer dynamic pricing schemes (happy hour, frequent customers etc.) are happy using our platform. 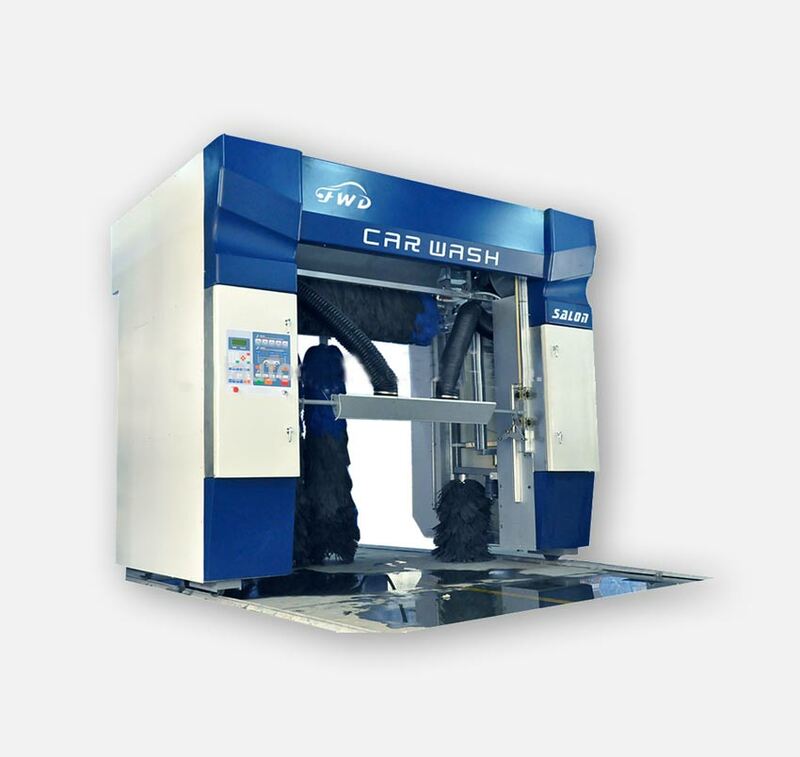 Car wash boxes are a variant of the roll over car wash installations. Today mainly operated by throwing a physcial token in some kind of token acceptor, consumers love to get rid of the hurdle of first buying these tokens inside and than at 70% of cleaning their vehicles, find that their washing time is over… At web-connected wash boxes consumers pay by the minute. Fair and convenient, just as we like it. Since about 2012 clean and fresh restrooms as a paid service, have become popular in Europe at highway petrol stations, train stations and shopping malls. In these days paying cash was the only workable solution for paid access. Nowadays we adjust the existing infrastructure and add card and code-based payment systems. Have you already heard of the restroom-subscription for commuters? Popular in various European countries, the snack vending in cafeterias is mostly paid in cash. The existing electronics in these machines are made fit for web-communication and from then, personalized pricing and digital payments are standard. As well as the data integration to the store’s POS system. Web-connecting coin changers does not necessarily add to a cash-free retail operation. Some retail locations still serve customers that prefer cash over card. Connecting a coin changer gives valuable machine and usage information to the retailer and service partner. The Connected Molecules Gateway literally is what it says; a gateway to the free and open internet for trapped bits inside physical machines. Our gateway liberates these bits and makes machine interoperable. It’s not just the Gateway itself, but the connected web services and ever-growing libraries that contribute to our Enterprise Transaction and Information Construct.